Digital eBook, available instantly worldwide, right to your email. 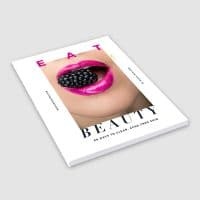 My own success story beating acne is what inspired me to create EatBEAUTY. I am surprised I was even able to find these photos, because I used to avoid them, especially if my face wasn’t covered in makeup. These were taken on my “good days”. 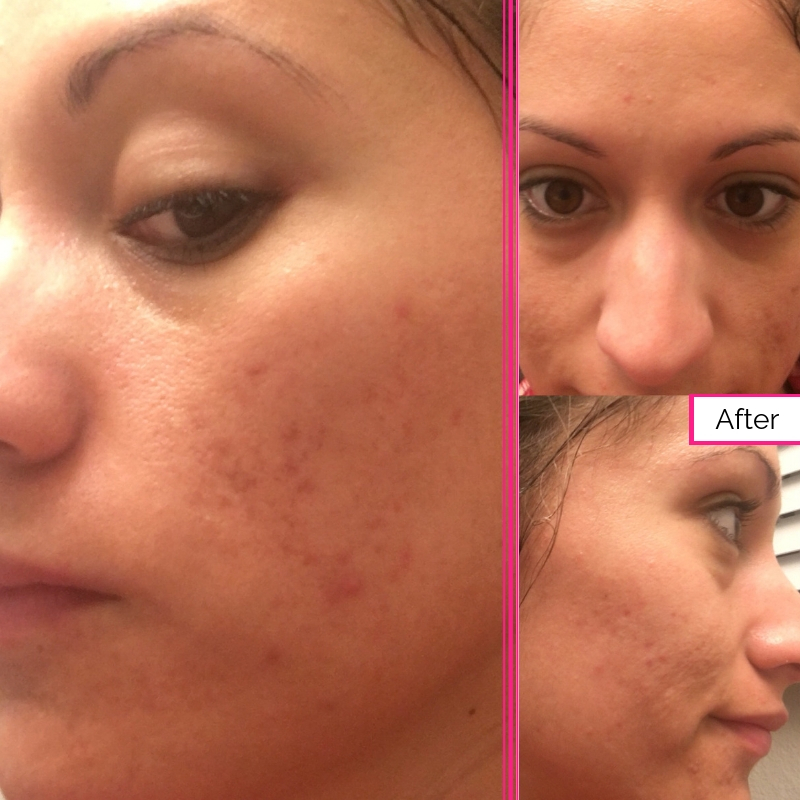 I tried nearly every over the counter acne product, many prescription creams, and visited multiple dermatologists. 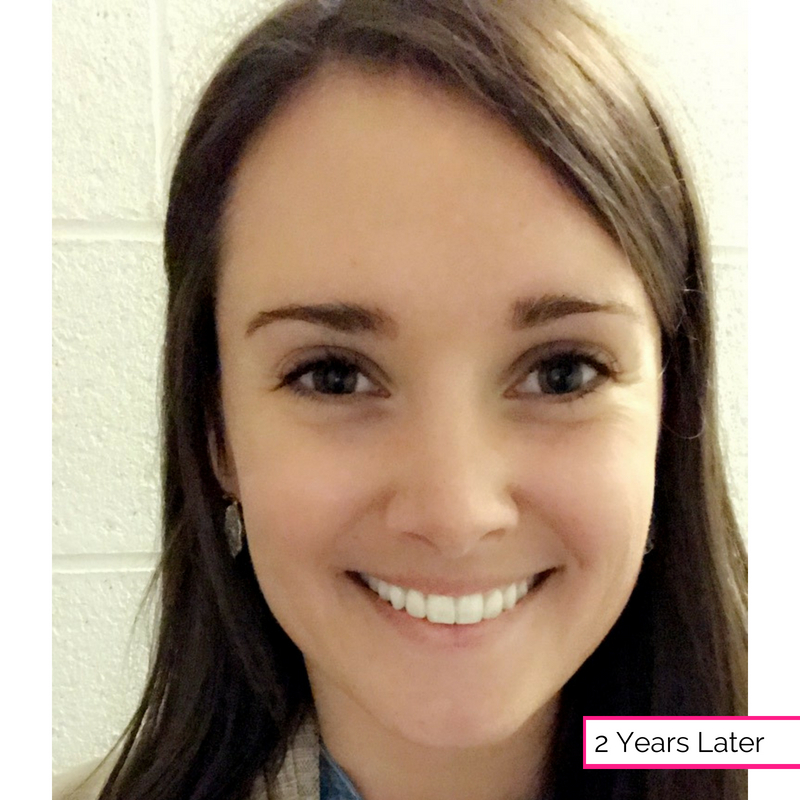 After years of crying in the mirror, a nervous breakdown in the bathroom, getting burned by a prescription retinoid cream, and turning down Accutane (because of the side effect of “severe depression that could lead to suicide”), the only thing that finally cleared up my skin was changing my diet and switching to gentle natural skincare products that weren’t designed to obliterate the bacteria on my skin or chemically peel off the top layer. 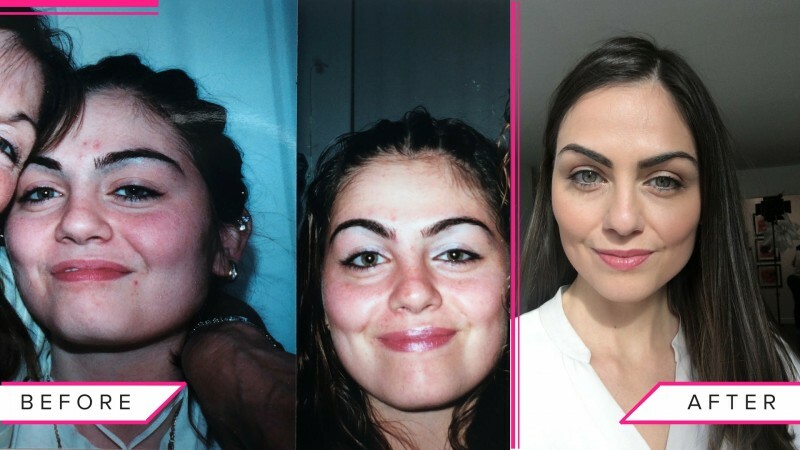 I was so profoundly shocked at the transformation (you can see I lost about 20 pounds, too! ), that I ended up changing career paths to study nutrition. 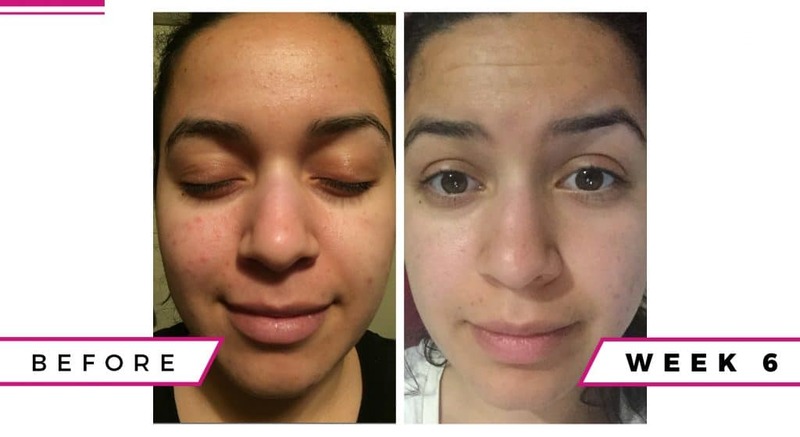 I’ve since made it my mission to help others clear up their skin and improve their health by improving their eating habits. I developed acne when I was 12. 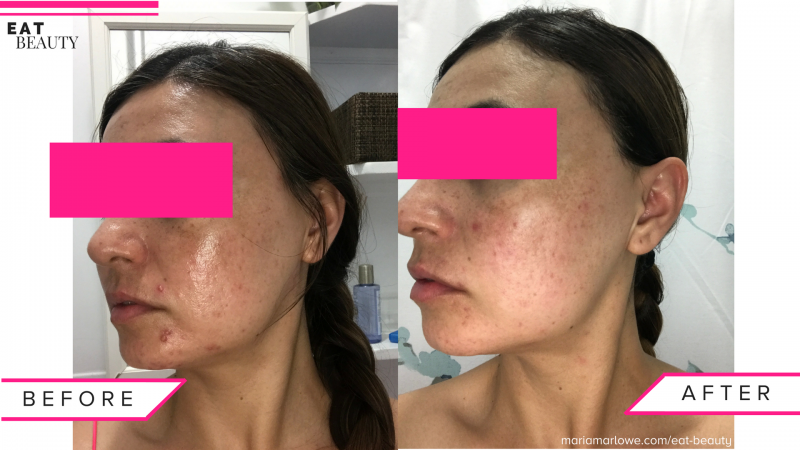 I tried every topical ointment under the sun from retin-A to Clinique to Proactiv and nothing helped. I’ve seen several dermatologists. Again nothing they prescribed helped. 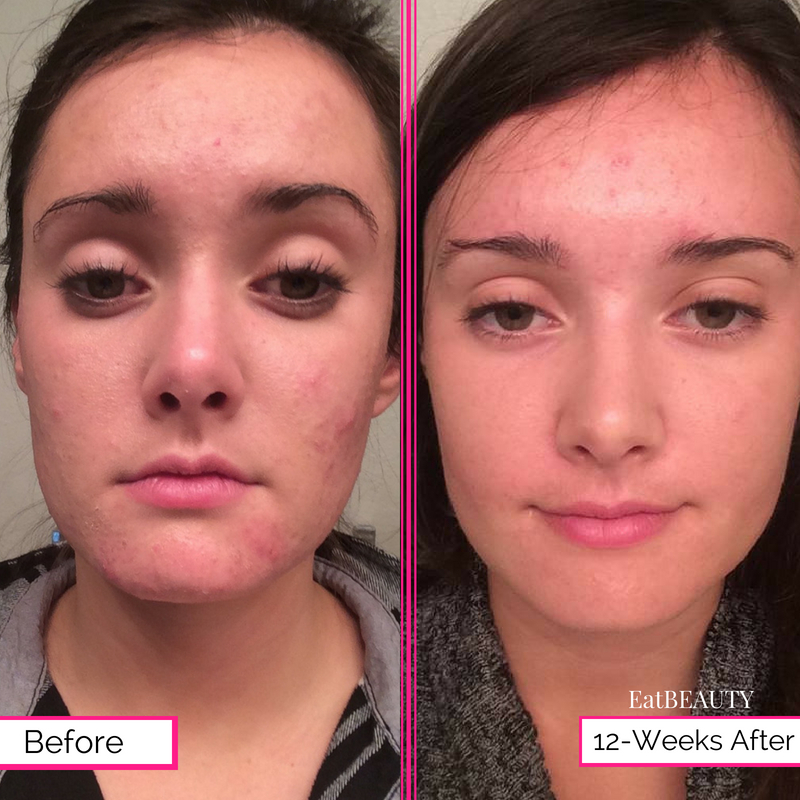 I had already decided if the eatBEAUTY program didn’t work for me I was going to try Accutane as a last ditch effort (I’m so glad I didn’t have to take that step). 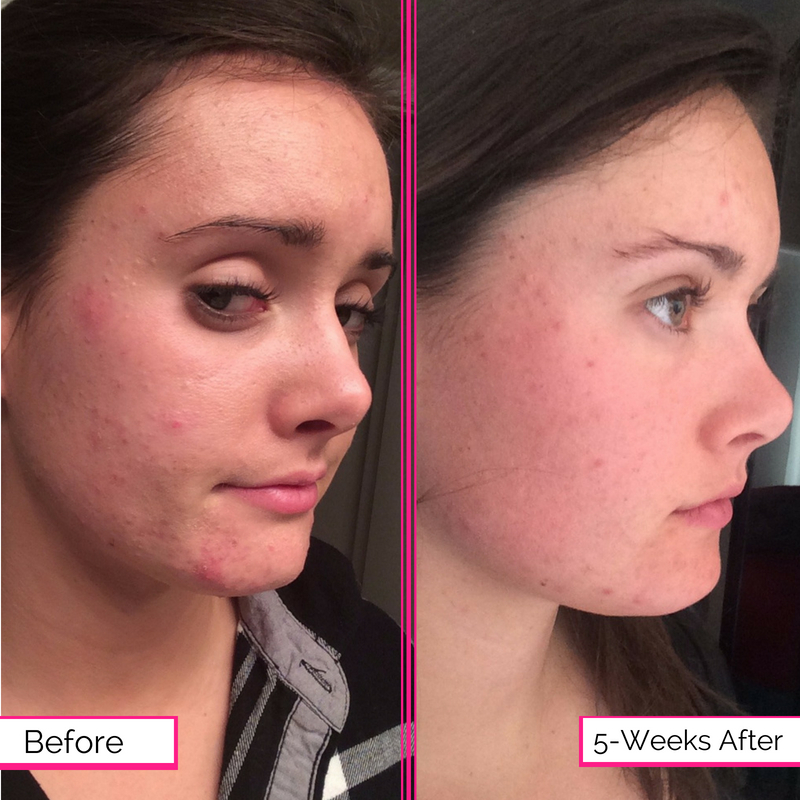 I honestly never thought I would get rid of my acne and I’m so happy that this system worked so well! Thank you again for what you do! It’s such a relief to feel comfortable in my own skin! I’m able to go to work with nothing but my SPF on, I never thought in a million years I would have the confidence to do that! DIET IS KEY! 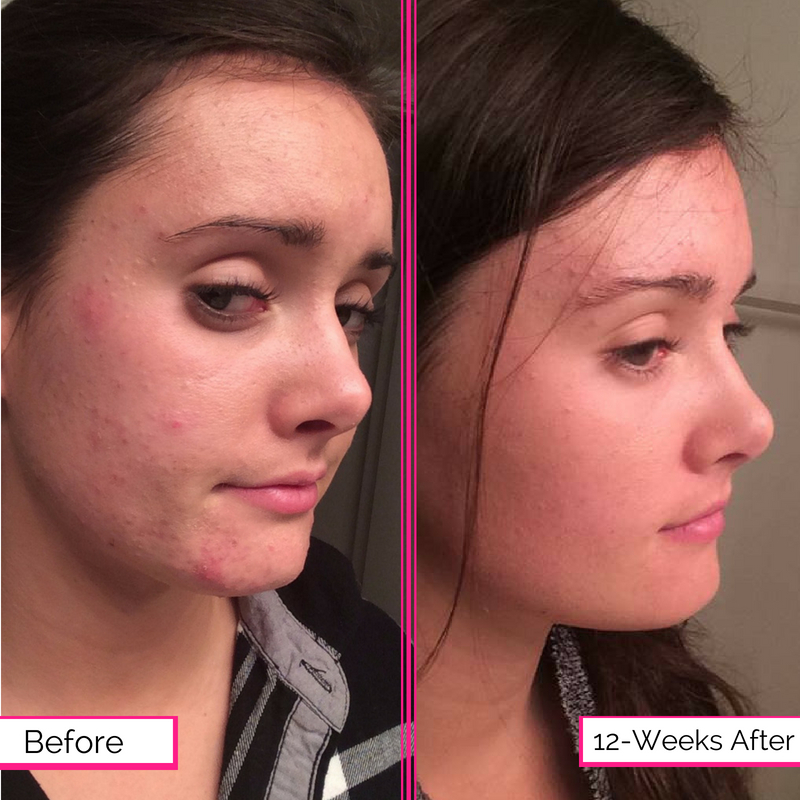 I began to see amazing changes, before the program was even over. 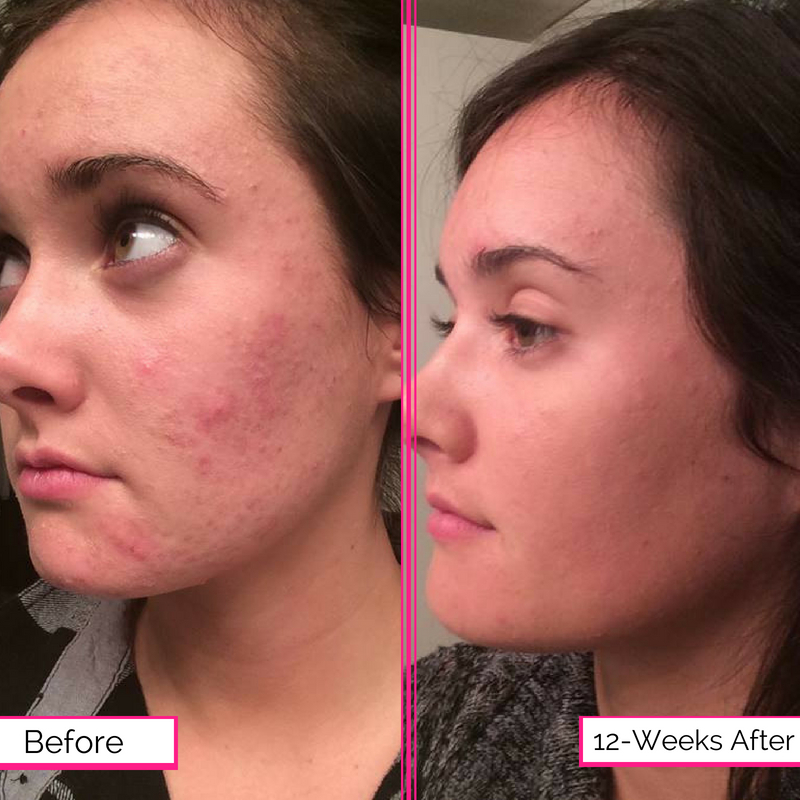 Inflammation and redness is way down, less breakouts, and my skin is finally clearing up! I’m sticking with this way of eating, for life! I’ve seen my face clear up! My face is smooth and doesn’t break out like it used to. 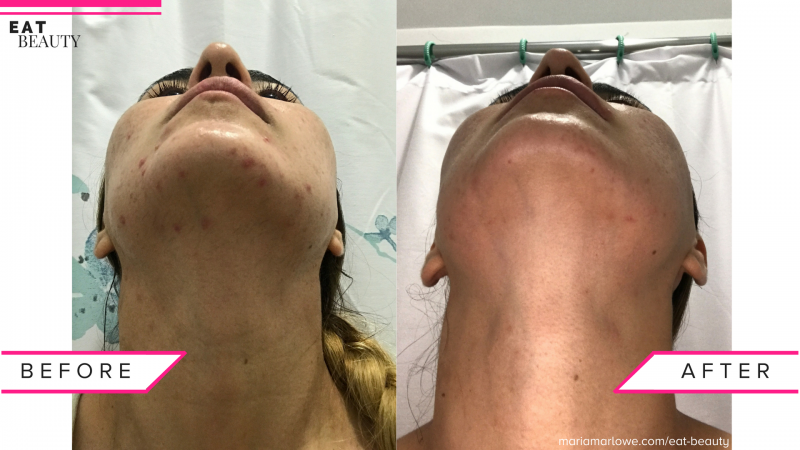 I had tried pretty much every Western medicine under the sun for my acne, and nothing worked until I met Maria, and she led me through a rigorous food detox that finally cleared up and helped me feel confident in my skin! 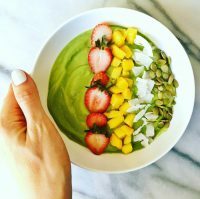 I am truly amazed at food’s ability to heal the body and mind. Begin to see results in as little as 3 days. 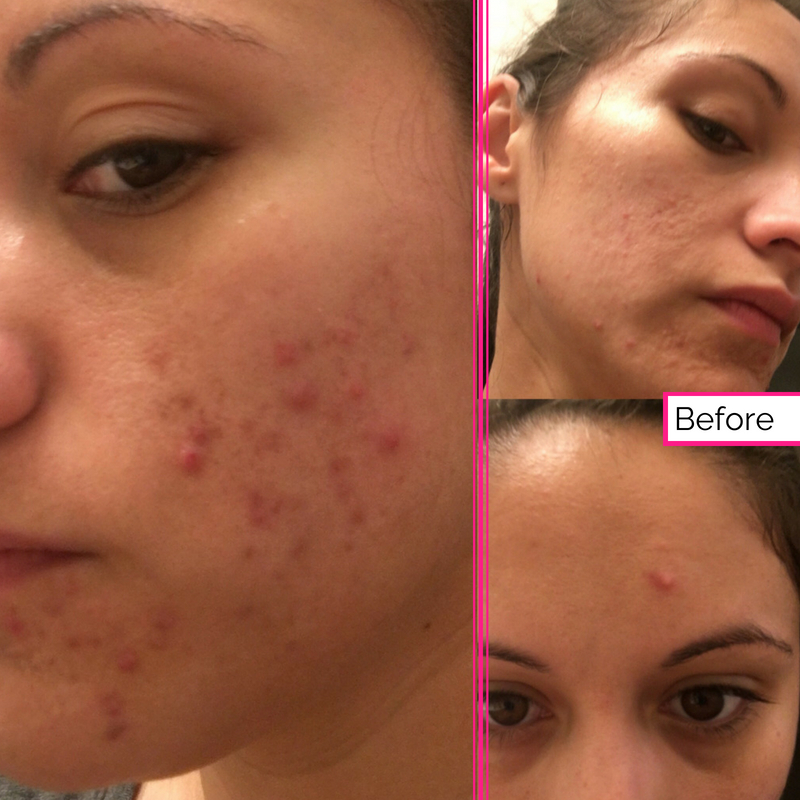 Maria has helped hundreds of women clear up their acne, naturally.